Whenever we're at a carnival or a fair, my husband always wants Kettle Corn. The biggest package they have. He loves it. The kids of course go crazy over it too. Thus the need for the big bag of kettle corn. I knew when I saw this recipe that everyone would love it. 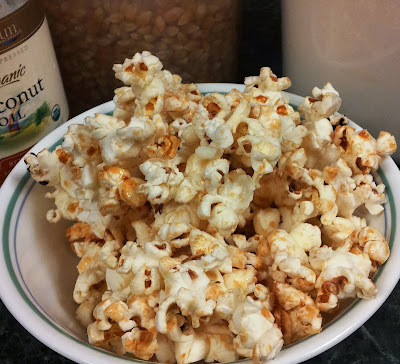 So easy, chuck it all in a pot and watch it pop. If you have a glass lid, it makes it even more fun to watch it pop. 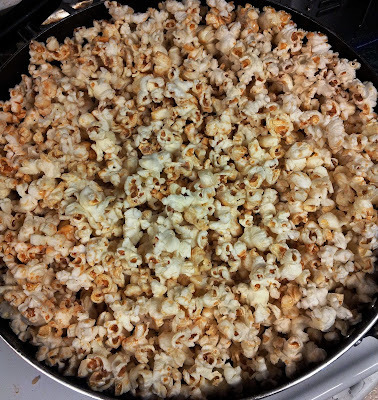 True story, many years ago, first time we made popcorn in the pan rather than the microwave, I didn't know how much to put in and ended up putting about 3 times as much as we were supposed to. 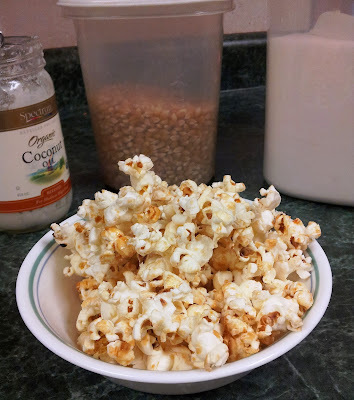 The popcorn popped the lid right off and there was popcorn everywhere. So funny and the kids still ask to do it again. Well, every time I make this kettle corn, I need to make 2 batches of it. It all gets eaten every time. Sweet and salty. How could you go wrong? 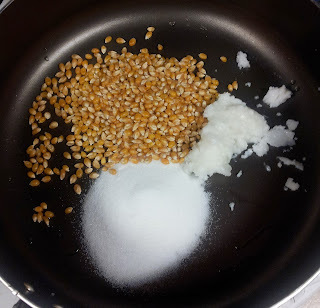 Add the coconut oil, sugar and popcorn to your large pan. 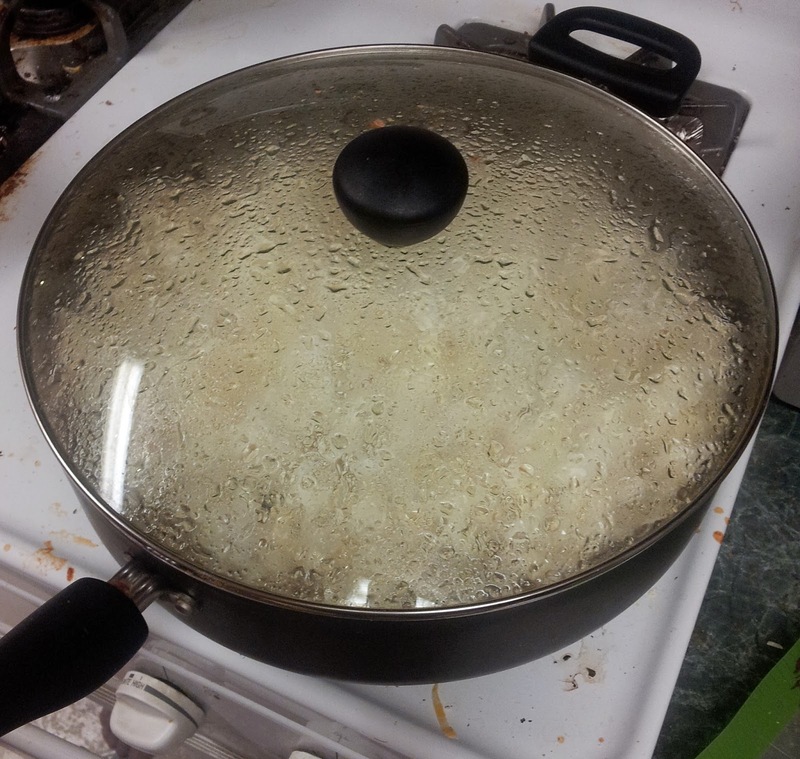 Put pan over high heat and cover pan. Shake pan and kernals every few seconds to allow even heating. 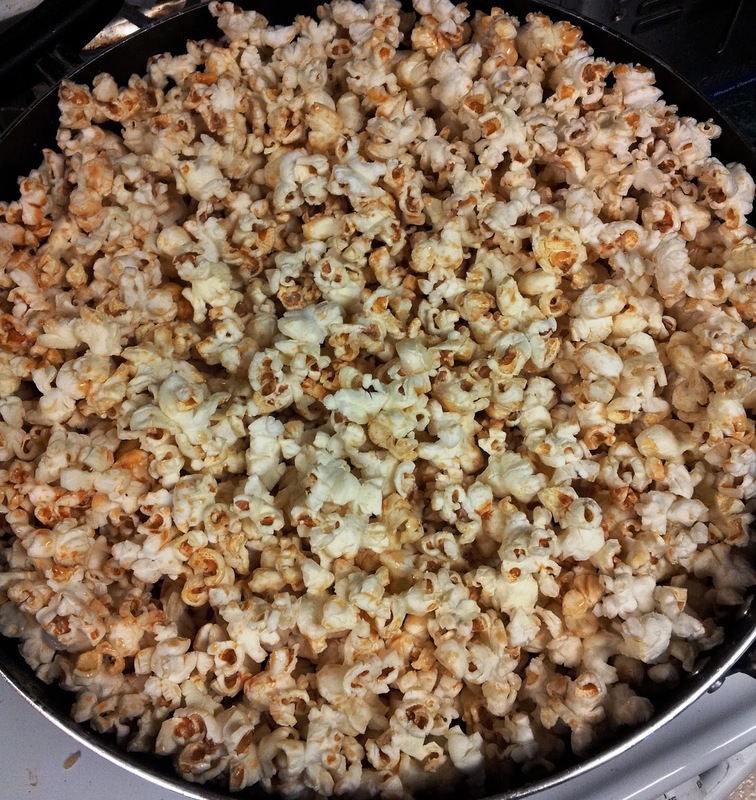 When popcorn is almost done popping, remove from heat. Add salt to taste.